Select a different tab above to view other videos. An overview of all main features in JOC Premium. 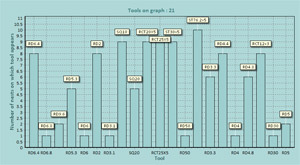 JOC Premium includes a number of features that will help CNC Punching machine users. JOC Premium now includes comprehensive nest costing capabilities. An ideal companion for your JETCAM Expert nesting software. JETCAM Orders Controller Premium (JOC Premium) builds on the flexibility and easy use of JOC Lite II to both simplify and automate the creation of orders for single components or complex assemblies for use with JETCAM Expert. Advanced features include CAD import for automatic creation of JETCAM native component files using JETCAM’s S.C.A.P. (Single Component Automatic Processing), nest costing display, parametrics support, the ability to quickly identify all nests that contain a part or parts and the ability to work with multiple JETCAM Expert systems at the same time. Now available in two Premium versions - Premium and Premium Automation, JOC Premium offers a powerful way to completely automate the process of CAD import and nesting. Easily import any supported CAD format (inc. SolidEdge, SolidWorks and AutoDesk), with support for PPI data. One click sends all parts to JETCAM for automatic geometry creation and tooling for your selected machine, with multi-profile CAD filtering built in as standard. 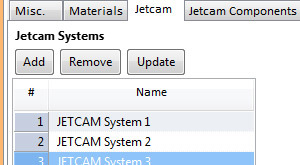 Use one license of JOC Premium to control multiple JETCAM Expert licenses. Send CAD files to one system to create geometry files while nesting on another. Ensure that you always use the latest revision of a part. Easily create complex assembly structures either through drag and drop or one-click using directory structures. 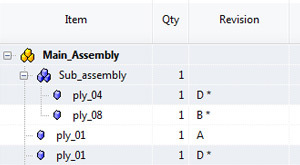 CAD import can also create assemblies automatically! JOC Premium allows you to create unlimited worklists - perhaps for each operator, machine or shift. Drag and drop parts or complex assemblies onto a worklist, or automatically create and polulate worklists with CSV import. Select one or more parts and immediately see which nests any or all parts appear in. Double click the nest in the left pane to automatically open the nest in the nest view, ready to view cost/tool information, open in Explorer, JETCAM or export to CSV. With JOC Premium you can select one or more nests tooled for you punching machine and immediately view a graph showing how many nests each tool is used on, and export this to CSV. This is especially important if you are looking to reduce the number of punching tools you use. On the nest screen an overall cost is show to the right of each nest. Selecting multiple nests gives you an overall total, and on the order costs tab you can see the individual and total costs of each part, even if quantities span multiple nests. 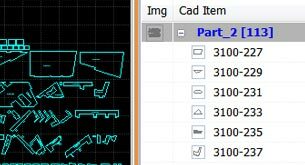 JOC can import an entire DXF nest, split it using user-definable profiles to ignore layers etc Individual entity files can be named based on text within the part shape, with nests containing dozens or hundreds of parts being split in seconds. More information. Select multiple nests and get a comprehensive merged batch report detailing material stock, components and nests, with detailed colour-coded images and information about each nest, allowing you to quickly identify parts. JOC Premium can be configured to work with multiple JETCAM systems. A single operator can automatically import CAD files and generate component files on one JETCAM system while sending components for nesting to another. Complex assemblies with full revision control can easily be created using the drag and drop interface or with one click using the directory structure. 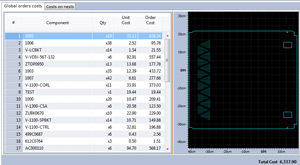 JOC Premium II reads JETCAM Expert’s material databases and also allows you to store material and scrap costs for costing, which is used to display instant nest costs. JOC Premium’s strength is in its data exchange capabilities. 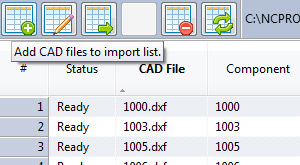 CAD import supports all file formats that JETCAM Expert supports, and also allows you to import a CSV list containing CAD file paths and additional PPI data. 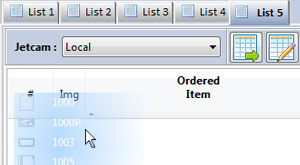 CSV order import is also supported, providing instant creation of unlimited, fully populated order lists, allowing for tight integration to legacy data systems such as MRP. 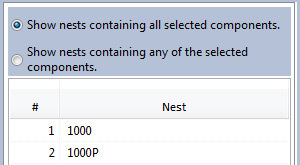 Once nested, JOC Premium’s nest screen provides one-click CSV export of nest data to complete the loop. You can quickly identify any or all nests that contain one or more components. Parametric programs can be edited, and automatic parametric ‘DO’ files can be easily created. By storing machine, operator and material costs JOC Premium also provides instant cost per nest. Watch the video demo online to see more. A full feature comparison is also available here.